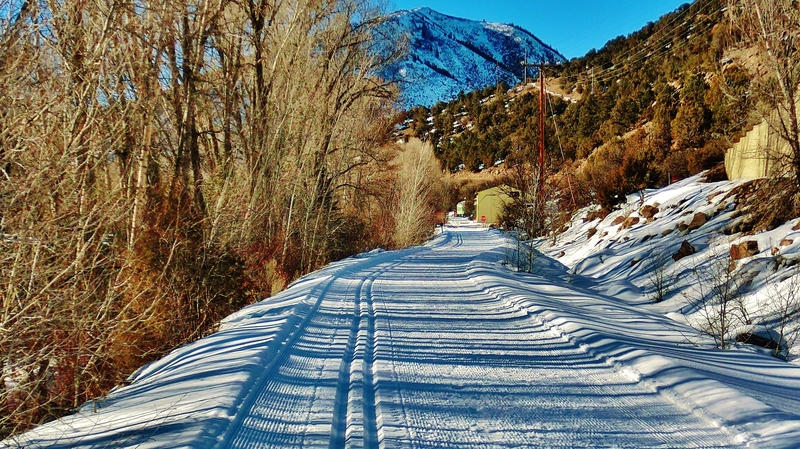 When I made the decision to explore all 150 kilometers of groomed cross-country ski trails criss-crossing the Roaring Fork Valley I of course was very much looking forward to the experience, I just never imagined it would prove to be such exhilarating fun. 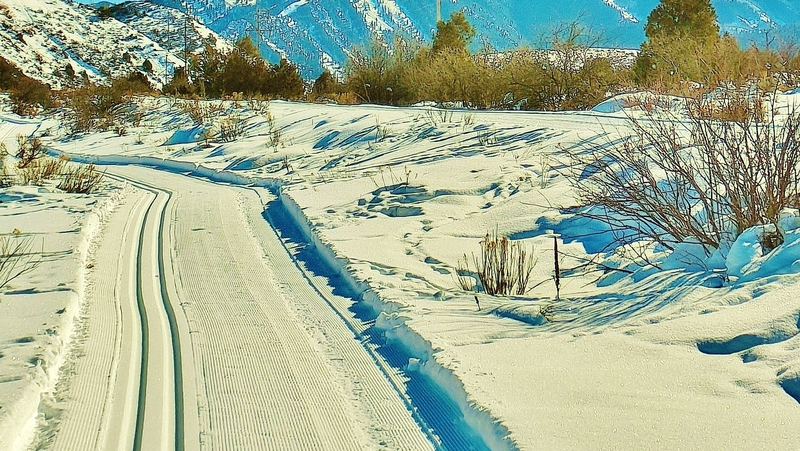 Not only is the physical act of cross-country skiing a pleasant sensation in itself… a smooth locomotive sliding motion, but the trails themselves lead you to the most wonderful places. 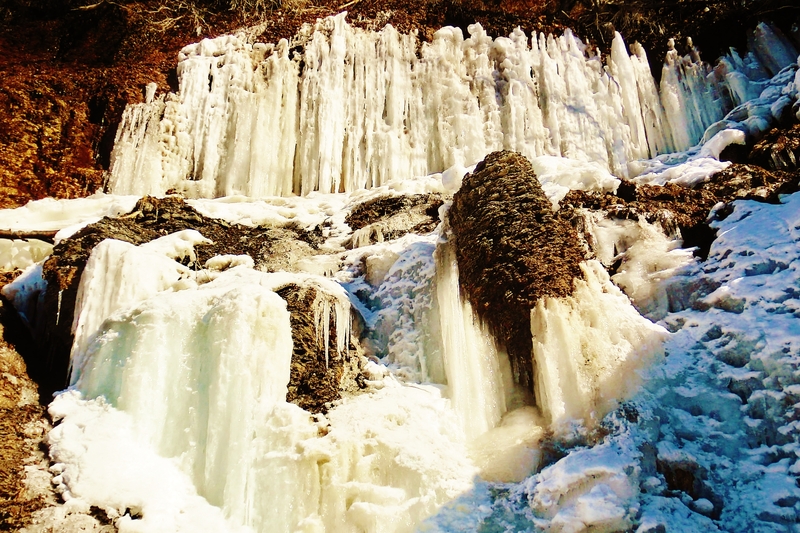 The world takes on a magical aspect as it floats by in such a lovely manner. 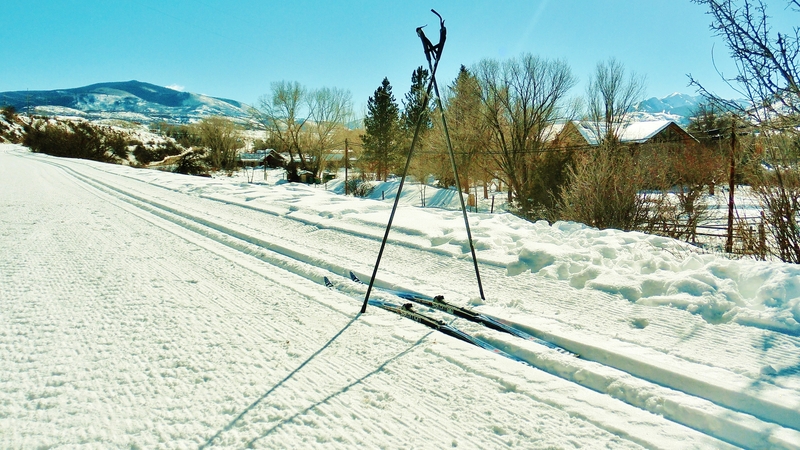 So securely are your skis clamped into the rails in fact that, with no fear of tripping or stumbling, your eyes are free to wander at will, left right, dead ahead, up, down…. and linger for as long as you like, hold your gaze, and just sail by until something else equally interesting captures your attention. 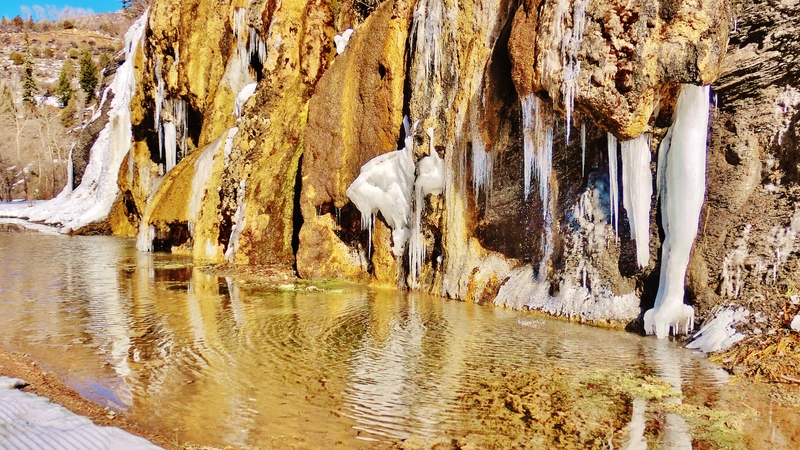 The photographs you see were all taken on the Rio Grande Railroad track-bed trail. It is indeed a path I know very well having jogged it, if not a thousand times, then many hundreds. And so to see it presented in a whole new light, after 11 years, came as something of a revelation. 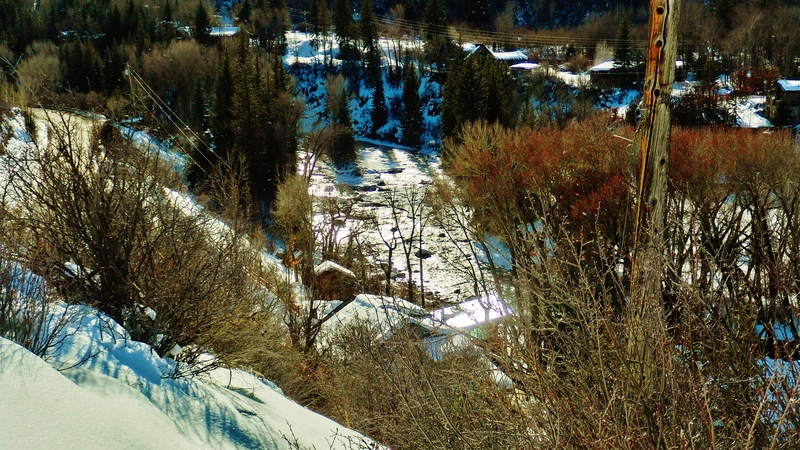 Around eight miles separate downtown Woody Creek from Aspen and such is the nature of the Rio Grande trail that it is often said to be downhill both ways. 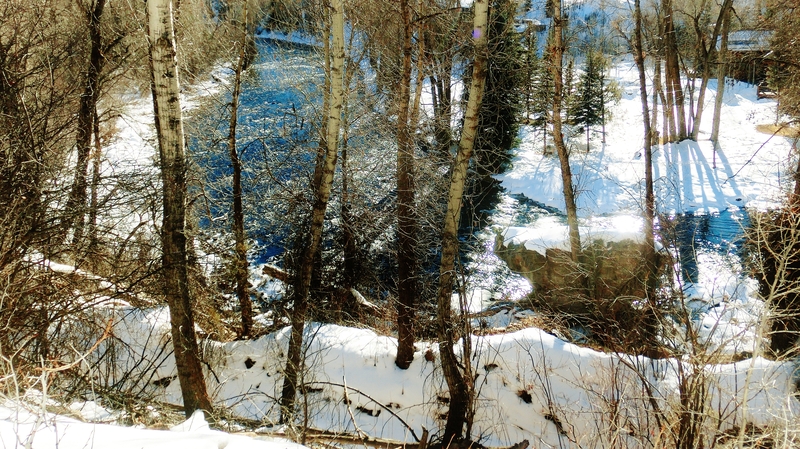 The most popular spot, and pleasant turn-around point, is the waterfall a mile or so outside of Aspen. 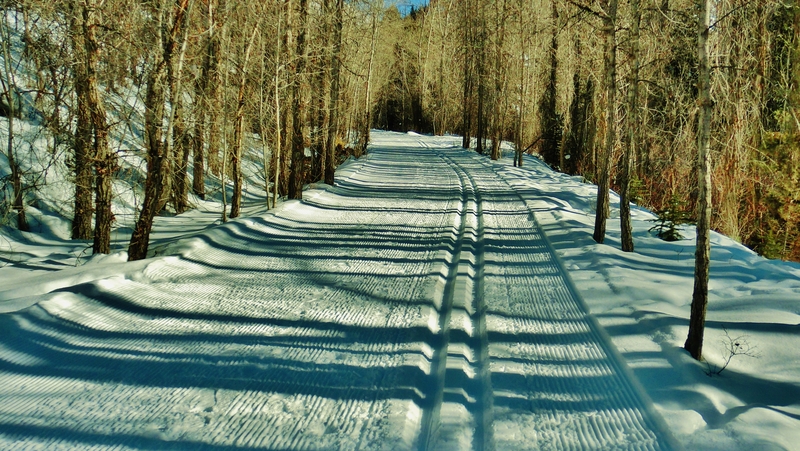 Over the past week I have skied this trail in each direction several times, and on each occasion I was astonished to enjoy the experience even more, if anything, than the previous day. 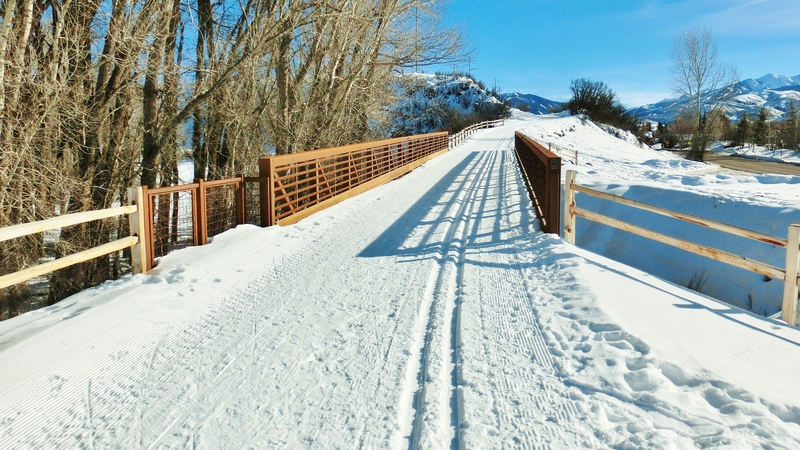 This spiffy new bridge marks a popular starting point for skiers. 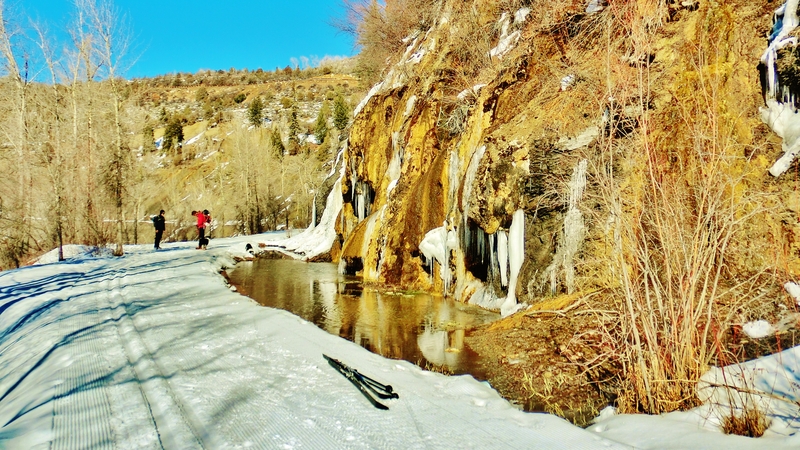 To south 30 miles of former railway line now serve as an unbroken bicycle path connecting Aspen with Glenwood Springs. Just how much of it is groomed for Nordic skiing I have no idea, but I intend to find out. 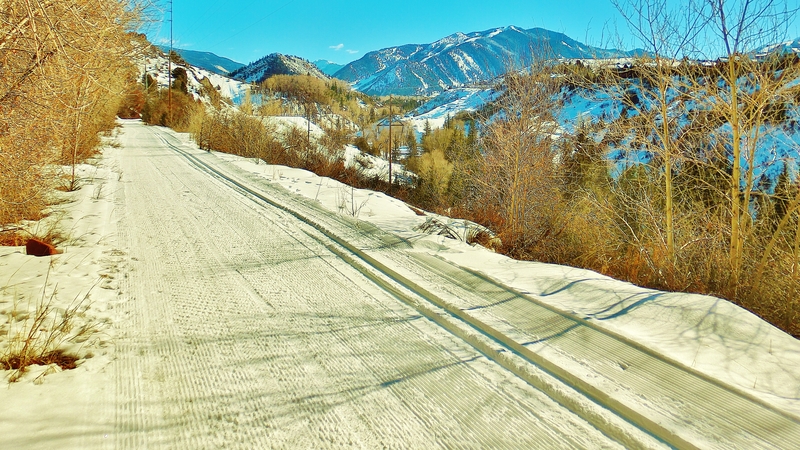 I have however made it to the outer limits of Woody Creek, as we shall see in my next blog, but today I have assembled a selection of photographs taken over the past week as I steadily grew into my skinny skis. 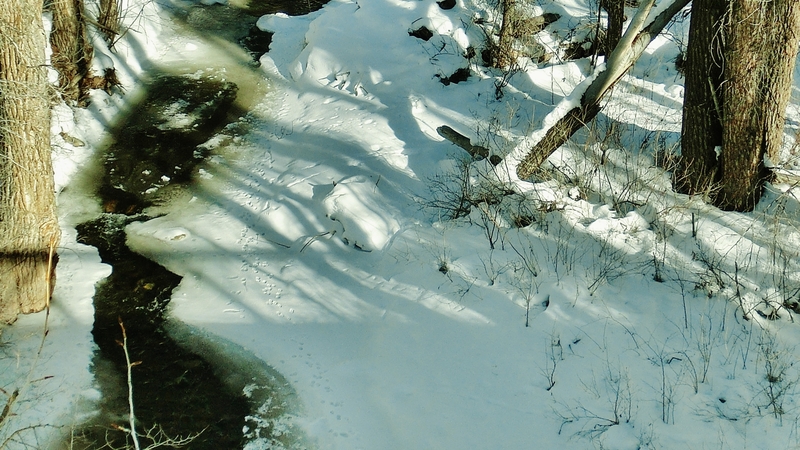 They are all taken from the perspective of skiing south into Aspen from the banks of the fabled Woody Creek river, on the northern edge of downtown Woody Creek, CO, at 7,000 feet in the Colorado Rocky Mountains. 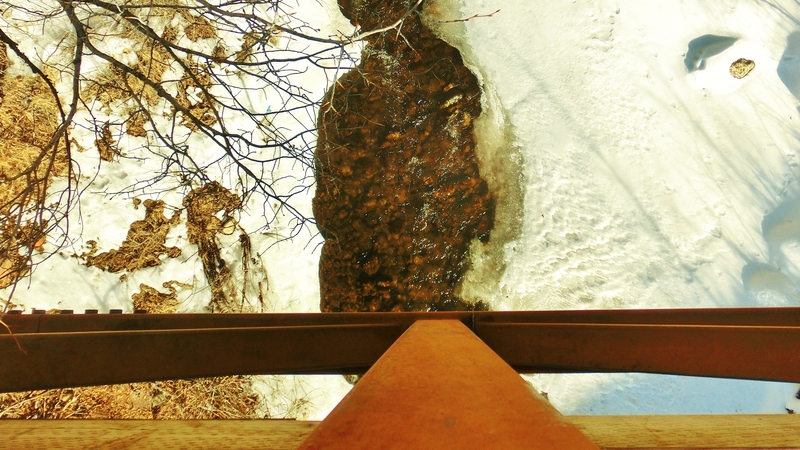 This is the Woody Creek, as seen when peering over the edge of said spiffy bridge. 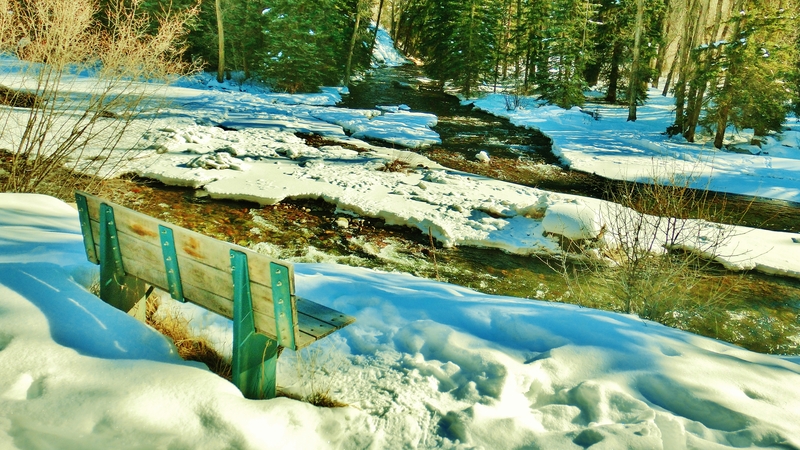 My favorite bench, where Maroon Creek and Roaring Fork meet. 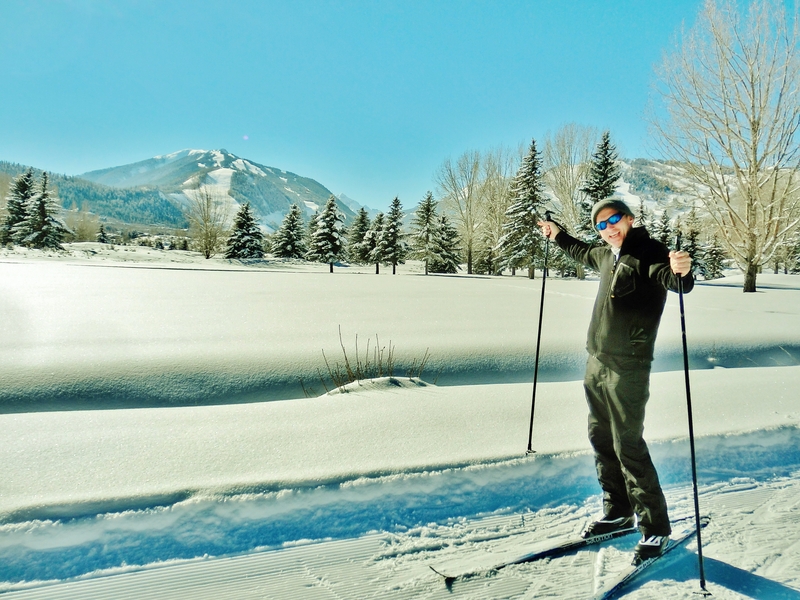 This entry was posted in All Postings, Posts about My Daily Life, Rogue Carver on Skis, Travel Posts and tagged Art, Aspen, Aspen Nordic Trails, Colorado, Nordic Skiing, Nordic trails, photography, Roaring Fork Valley, Woody Creek. Bookmark the permalink.